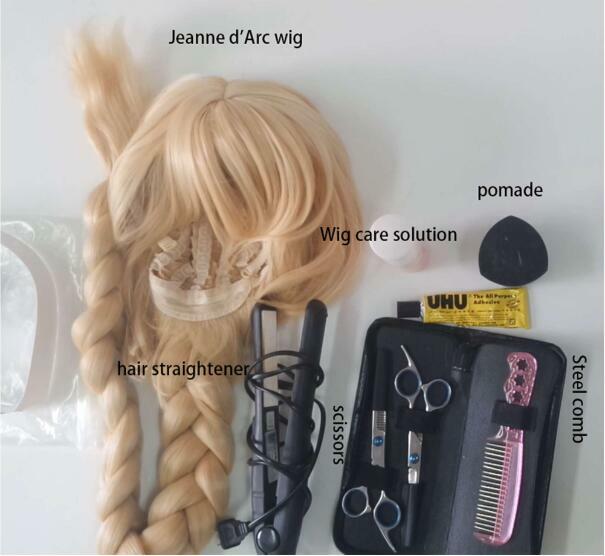 Jeanne d’Arc Wig*1, Wig care solution*1, pomade*1, Steel comb*1, Hair straightener*1, Scissors*1. 1.Put the wig on the model. 2.Use the wig care solution. 3.Comb gently. 4.Straighten your wig. 5.Divide the bang into some parts. 6.Cut them one by one. 7.Divide the bang into some parts. 8.Cut them one by one. 9.Divide the bang into some parts. 10.Cut them one by one. 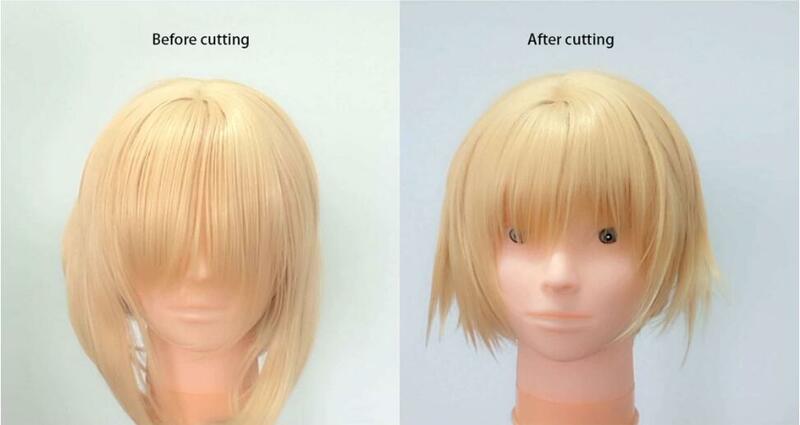 11.Use UHU to make the hair end fixed. 12.Done!! This entry was posted in Ask Questions, Buy Cosplay Wigs, Wigs and tagged FGO, FGO Coslay, Jeanne d’Arc Wig, lemailwig, Style wig.